Our summer has been super-duper busy, but after this weekend we are PLAN FREE. Seriously - wiiiide open summer vacation for the next six weeks. Yesssss! It's been fun, but I'm not a fan of busy. 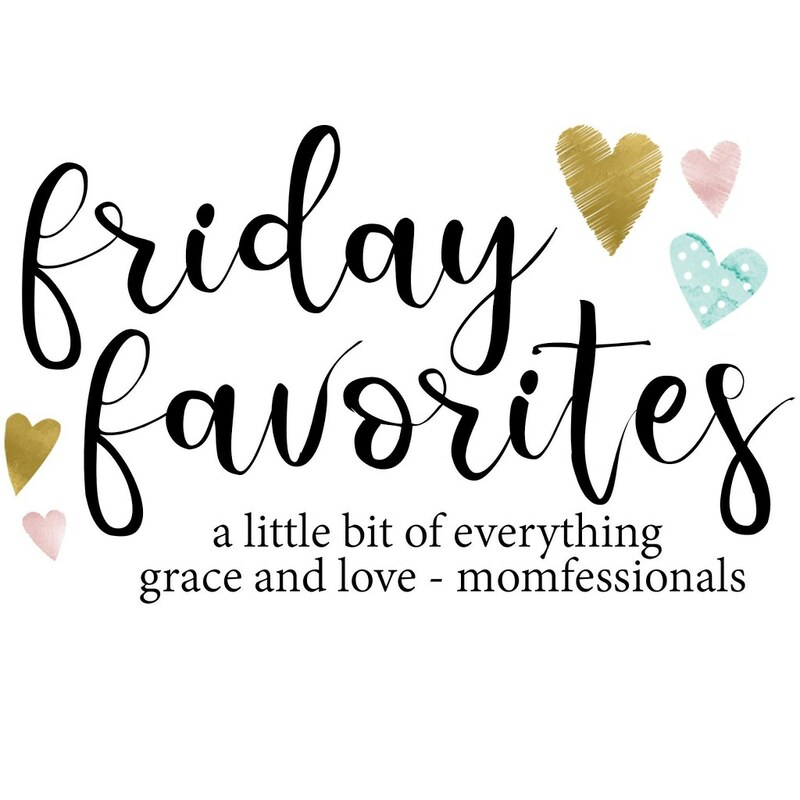 Here's what I've been loving during this busy season! With our climate the way it is most of the year, we wait a looong time for fresh produce. Then June and July hit, and we get everything at once!! 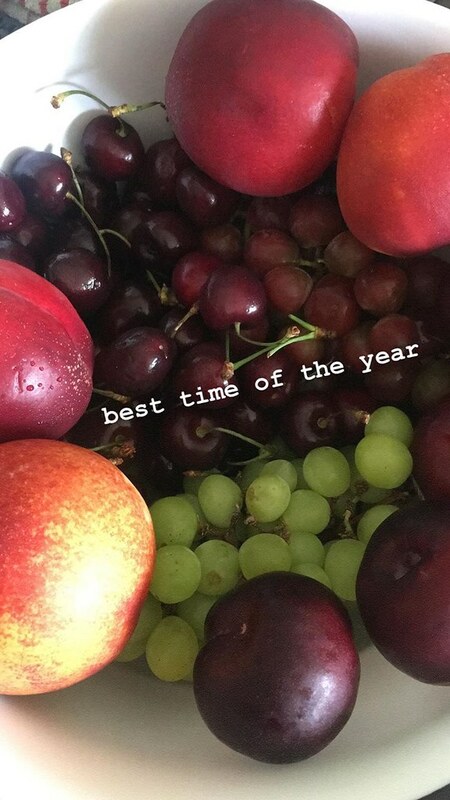 I'm loving all of the fresh fruit - ya know, fruit that actually tastes like it's supposed to?? We're going blueberry picking on Sunday - CAN'T WAIT!!! 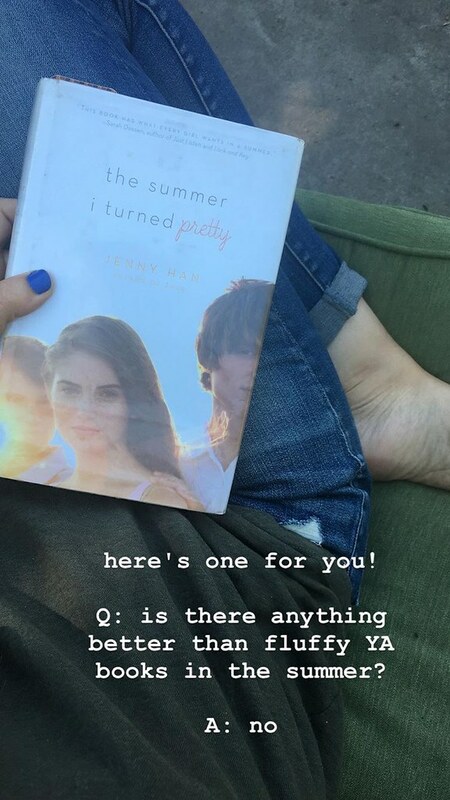 My favorite books to fly through in the summer are fluffy, summery, YA romances. YES! PLEASE! I've been reading a lot of them lately, and loving every second of it. Young Adult lit appeals to me because while their themes can sometimes get emotional and occasionally heavy, things aren't so dark and dismal and disturbing. I like my vibes nice 'n high! Since we're talking books, one of my favorite resources to find new books is from that sweet little corner of YouTube where book addicts like myself talk books all day every day. My happy place! It's great, because they get a lot of ARC's so they can tell you what's coming up, and they usually have a great summary to share - one that usually sells me better than a GoodReads teaser. My favorites lately have been Bookables, Hailey in Bookland, and Chelsea Palmer. In the summer, I like to keep my breakfast suuuper simple. One of my favorites is to just have PB + Banana toast with a scrambled or hard boiled egg, and maybe a small handful of berries. 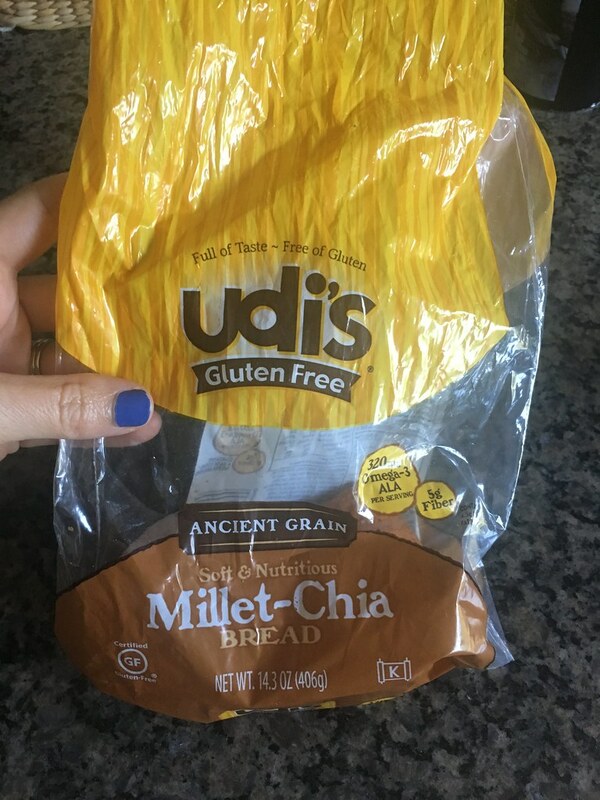 When we went gluten free, I couldn't eat Ezekiel bread anymore (which was my healthy favorite), but Udi's came out with a few varieties of ancient grains bread and I LOVE them!!! Just like Ezekiel bread! It's moreso that I love what they have done for my Luke! He is not a typical sports kid - he's tried them all and struggled, and part of the problem is that he has exercise asthma. Anything that involves running is difficult for him, and I totally feel him, because I had asthma as a kid myself. So this summer we thought out of the box and signed him up for a week of both Golf & Archery. He LOVED them. 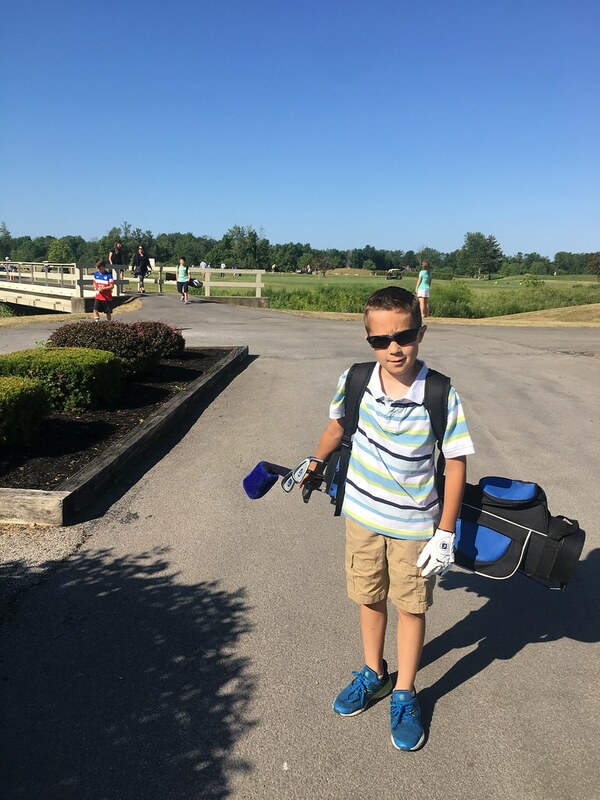 He talks about going to play golf all the time now, he went on a special driving range adventure with his Grandma the other day, and he has SO much confidence when he's at archery! I've never seen him like that before. 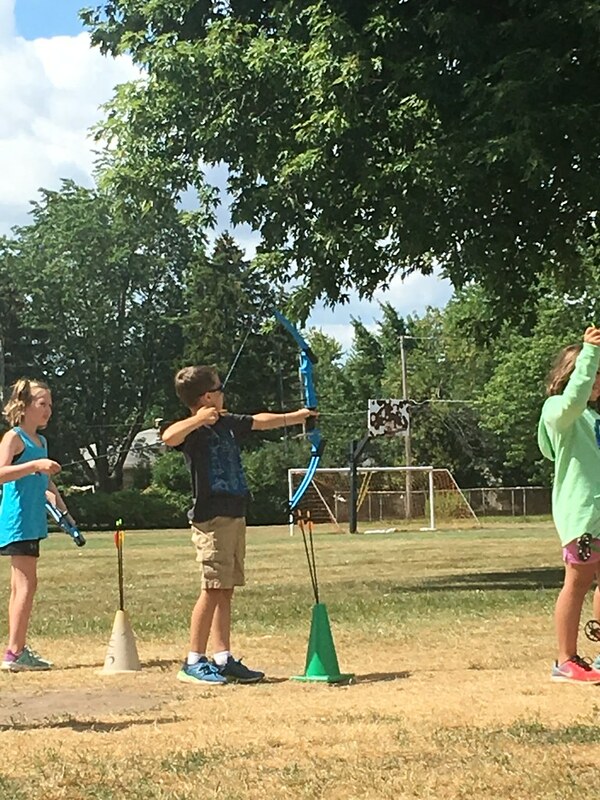 He is always so timid and unsure when he plays a sport, but watching him at archery was like watching a different kid. He always had a smile, joked around with the instructors, and he walked around with a little swag while he fist pumped after a good shot. He even won a competition on the fourth day! He was SO proud of himself. And I am so proud of HIM!! Speaking of. I've had tons of fun organizing my closet and getting things sorted for the coming fall season. DON'T GET ME WRONG! I am NOT wishing summer away - I want alllll the 80 degree days, still. This is Buffalo...you cannot rush this warmth away, you won't get it back for like 8 months, lol. 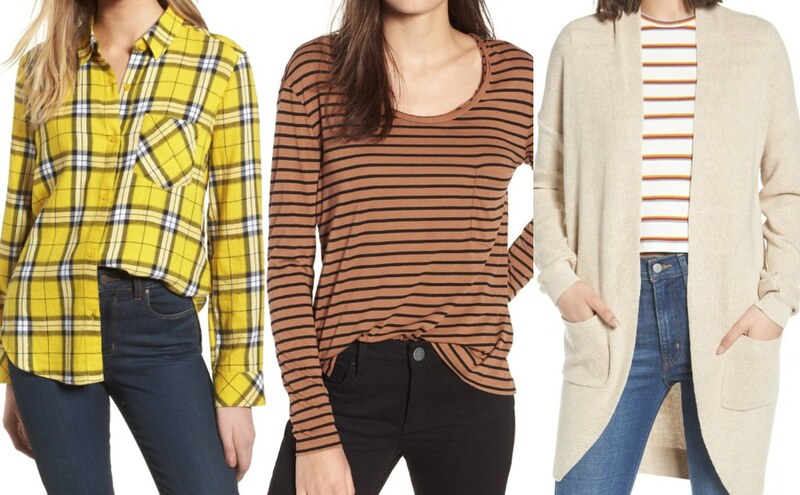 But....fall fashion is the most fun ever, and I've started collecting some pieces. I can't wait to share them! Also - Matilda Jane is getting ready for their first fall release, so I'll have lots to share from them super soon! I took the boys for a quick trip to Target for some necessities and ran into this mug. Um, LOVE! 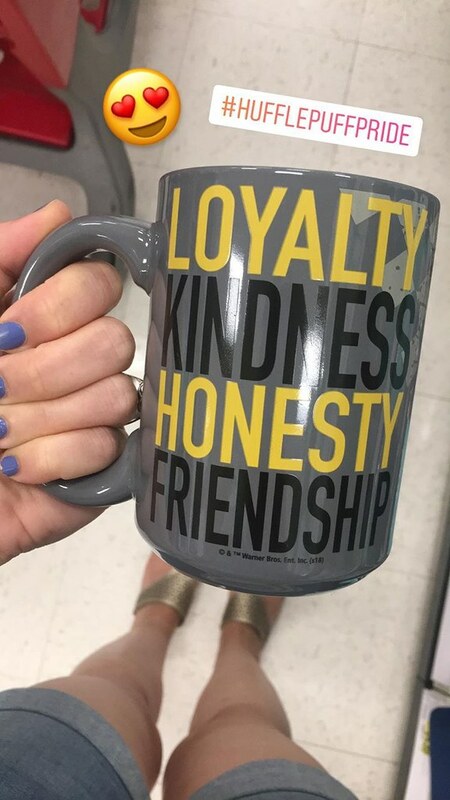 Hufflepuffs get a bad rep, but I happen to think we're kind of the glue that keeps the rest together, yaknow? 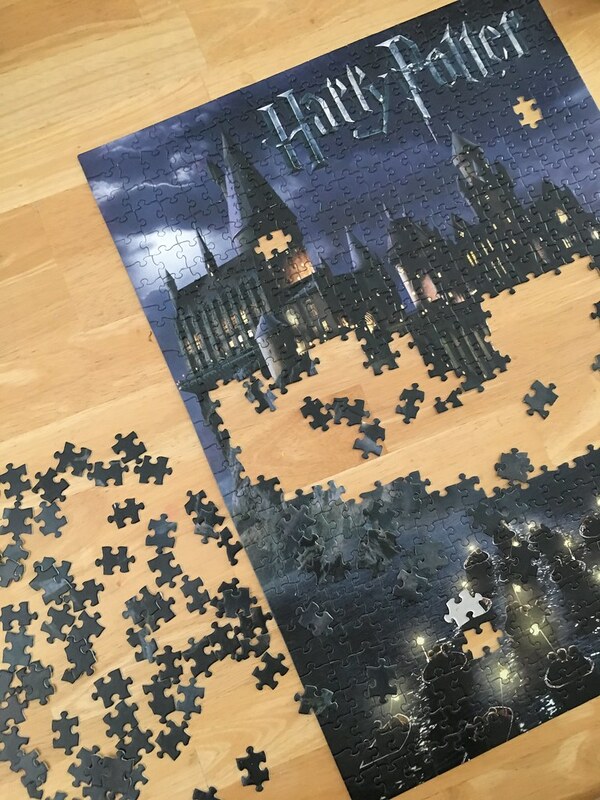 I get into HP all summer (especially while folding clothes or tackling organizing projects), but in Fall I get very Harry Potter + Gilmore Girls crazy, and I've gotten a few things lately for my upcoming obsessions - this is one of my favs!